Whitebeam Chalets are currently recruiting chalet host couples for available jobs in Peisey-Vallandry, France, for the next ski season. 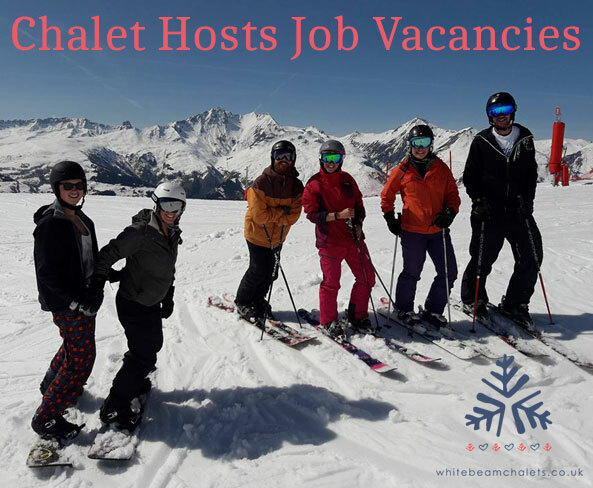 From 1st December 2018 to 30th April 2019 Whitebeams has winter chalet job vacancies for the roles: chalet host, chalet cook, and drivers/resort host. The jobs are well-suited to couples where one person may be a host and the other a chalet chef. Candidates are required to have a UK National Insurance Number, Health and Hygiene certificate (for the hosts and chalet chef jobs), European or International drivers licence (preferred for hosts but a requirement for chalet cooks and drivers), customer service experience, and happy to work as part of a team. Applicants can achieve their Health and Hygiene certificate as part of a 6-day course with Fresh Tracks – a Chalet Hosting and Cookery School who provide a pathway to getting jobs as chalet hosts, and also assist Whitebeam Chalets with recruitment. 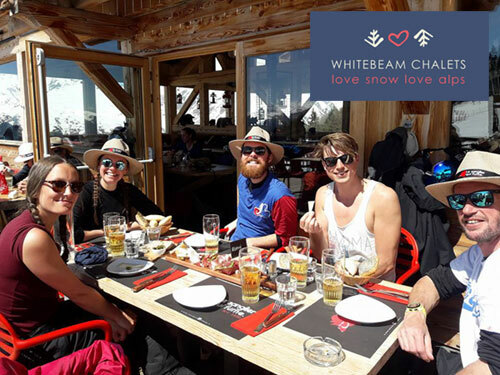 Whitebeams is an independent, family ski company which, for over 10 years, has been owned by Sarah and Matt who fell in love with Peisey-Vallandry where their tour of Europe, in their Volkswagen camper van, ended after they left their busy UK lives in Retail HR and Leisure. Sarah and Matt are a lovely couple to work for; always making sure they and their staff provide guests a personal touch and wanting visitors to their chalets to have the perfect holiday, whether it’s coming to ski as a family or as a group of friends. Whitebeam Chalets is located near the Paradiski ski area made up of three ski resorts, Peisey-Vallandry, Les Arcs and La Plagne, which are linked by the the Vanoise Express double-decker cable car. The area of Peisey-Vallandry is host to other winter activities such as guided tours of heritage sites near Vanoise National Park, horse sleigh rides, feeding reindeer, and snowshoeing. Job applicants can send their CV or enquiries to Whitebeam Chalets at [email protected].